The m/s Paul Gauguin was designed specifically to sail the shallow seas of Tahiti, the South Pacific and Fiji, visiting small ports that larger ships can’t reach. Reserve a featured sailing by May 31, 2015 and enjoy $500 Shipboard Credit per couple! 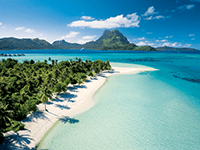 * Plus, an additional $200-$400 Shipboard Credit + Cocktail reception on select sailings. *Restrictions apply. Contact us for complete details. Reserve a featured sailing and enjoy OUR EXCLUSIVE $200 Shipboard Credit per couple. 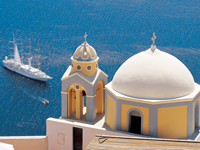 Plus, Windstar’s Private Event: The Tantalizing Tastes of Greece. Come aboard the voyage for those who love travel. Not only will Azamara Club Cruises® take you to the most celebrated destinations on Earth, but on their mid-size ships, you’ll also go to less-traveled ports, enjoy scenic rivers and waterways that are off-limits to big cruise lines, and sail to the doorstep of great cities like Seville, Hong Kong, and Bordeaux. It all adds up to a richer travel experience…and it gets even better with their concept of Destination Immersion®. Dedicated to provide all guests with the utmost attention and care, you will enjoy personalized service amidst stylish and spacious interiors while on your journey of a lifetime. *Restrictions apply. Contact us today for complete details. Next TAKE YOUR BEAUTY TO THE NEXT LEVEL WITH JULEP!